A plant-controlled robotics installation designed to let a plant’s natural phototropism become the cause of the robot’s movement, thus providing the plant with freedom of movement and “will”. Questions of agency and freedom to choose are what I am exploring with this piece. Viewers interact with the plant-robot system by fading up or down plant-gro lights. As one light is faded down in one spot, another fades up a short distance away, motivating the plant-robot system to pursue the light. This fade control can also be done through telepresence. 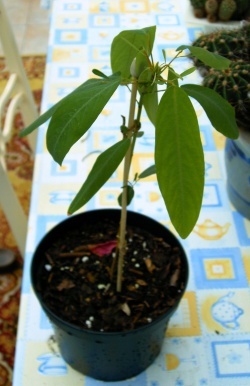 Codariocalyx motorius is a perennial tree with a very attractive foliage that can move with an observable speed. This is most notably true of the smaller lateral leaflets. The plant does this to maximize exposure to light and get the most from the sun's energy. AH3-R Walking Robot’s round body symmetry makes this a very unique hexapod walker. The three degrees of freedom of the leg design provides the flexibility required to walk in any direction. 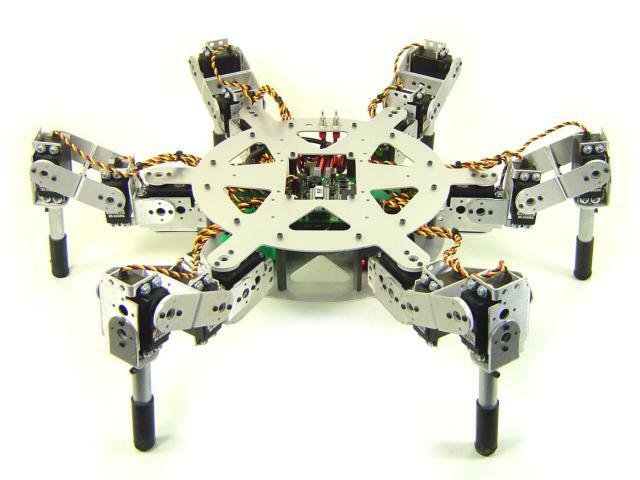 It uses 18 HS-645 leg servos, making it a highly sophisticated walking robot.